We provide furnished, unfurnished and semi-furnished flats and houses to rent, and as we manage our own properties there are no estate agents or landlords to consult once in occupation. We operate a small management team and take pride in being able to deal with most maintenance issues promptly. Our maintenance manager Mr Ron Dopson can be contacted direct on 07768 466424 for any minor maintenance issues. 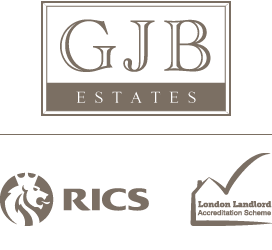 GJB Estates Ltd owns, lets and manages a range of commercial properties, including offices and retail premises in London and the South of England. We manage all our commercial properties and there are no third parties involved. The director, Gordon Brodie, has developed a number of properties within the GJB Estates portfolio and he continues to develop residential property in London. We will undertake projects to either retain for rental or sell on the open market.